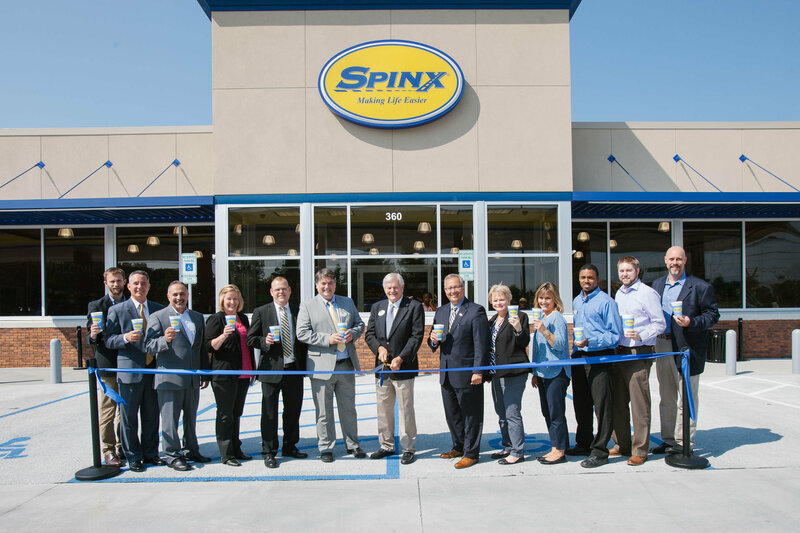 Spinx recently hosted the Grand Opening and Ribbon Cutting of their newest Charleston store on June 2nd. The new store is located at 360 E 5th North St, Summerville and is the company’s 8th store in the market. The neighborhood convenience store, which opened Sunday, May 29th, welcomed area-shoppers to enjoy in-store samplings, special deals, and activities to celebrate the occasion. This store, much like Spinx’s other new builds in Charleston, is a large format store and features indoor and outdoor seating, a large fountain and slushy area, and made-to-order smoothies. “We are thrilled to have a new Spinx location in a welcoming and business-friendly community like Summerville,” said Steve Spinks, CEO. “Three short years ago, we were opening our first store in this market, and now we are opening our eighth. I am proud of our growth and excited that the communities have embraced all that Spinx has to offer. The store layout features an indoor and outdoor dining area, expanded food and beverage selections, and much more. These improvements are consistent with Spinx’s goal of being the trusted destination for fresh, delicious food, refreshing beverages and fast, friendly customer service. Updates include an expanded beverage wall with items such as sweet and unsweet flavored iced teas, lemonades, and new Spinx Slushy flavor options. Shoppers can enjoy several new grab-and-go items in the Fresh on the Go and Bakery departments as well as a variety of new craft beer offerings. The opening of this store serves as a reintroduction of the newer, large store layout to the Charleston market. This large, 6500+ square foot store is intended to allow for comfortable shopping space and easier navigation to create an overall more convenient shopping experience for Spinx’s Charleston customers. In addition to this new Spinx location, construction is well underway at Spinx 355, 317A Old Summerville Rd., Summerville, SC 29482—which will be Spinx’s 9th store in the Charleston market when it opens in early August.